Beyond Babylon: Art, Trade, and Diplomacy in the Second Millennium B.C. (Metropolitan Museum of Art)..
Paul Signac, 1863-1935This book, the catalogue of the first retrospective of the work of the French ..
Tapestries - the art form of kings - were a principal element in the ostentatious magnificence used ..
Blue and White: Early Japanese Export WareBlue and White: Early Japanese Export Ware, as an exhibiti.. Published to accompany an international exhibition, this is a study of the portraits by the French p..
Mexico: Splendors of Thirty CenturiesExamines the Pre-Columbian, Colonial, Nineteenth Century, and T.. Portraits by Ingres: Image of an EpochPublished to accompany an international exhibition, this is a .. 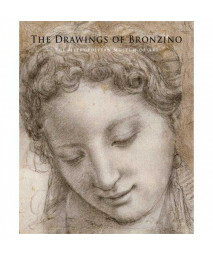 The Drawings of BronzinoDrawings by the great Italian Mannerist painter and poet Agnolo Bronzino (15..
A highly and colorfully illustrated companion to an exhibit showing at the Museum from October 1998 .. Guitar Heroes: Legendary Craftsmen from Italy to New York (Metropolitan Museum of Art Bulletin (Wint.. The Armored Horse in Europe, 1480-1620 (Metropolitan Museum of Art Series)The horse was an integral .. Product dimensions : 0.5x8.5x10.6 inches Product weight : 1.2 pounds..
Schiaparelli & Prada: Impossible Conversations (Metropolitan Museum, New York: Exhibition Catalogues.. The Art of Medieval Spain, A.D. 500-1200This richly illustrated volume offers a portrait of the vari.. The Christmas Story from the Gospels of Matthew and LukeMetropolitan Museum of Art, Christmas Nativi..
Cézanne to Picasso: Ambroise Vollard, Patron of the Avant-Garde (Metropolitan Museum of Art)Ambroise.. Early Netherlandish Painting at the Crossroads: A Critical Look at Current MethodologiesDrawing on t.. The Model as Muse: Embodying Fashion (Metropolitan Museum of Art)Model as Muse explores fashion’s re..
Heritage of Power: Ancient Sculpture from West Mexico: The Andrall E. Pearson Family Collection (Met.. Masterpieces of European Painting, 1800-1920, in The Metropolitan Museum of ArtThis beautiful volume..